A pharmacy license is a gateway to a promising career in the medical field. Pharmacists act as medication experts, making them an essential part of the health care process. They are licensed to work in a hospital or retail setting to dispense prescription drugs to customers. Just like doctors and other professionals, pharmacists can lose their license for various reasons. If they act in an unethical manner or even fail to pay a debt, they can have their license suspended or revoked. Are you worried about losing your pharmacy license in Florida? Here are some ways in which you can lose your license and why you need a strong defense to keep your license. We are human and prone to error. However, purposely or negligently giving patients too much of a prescription or giving them the wrong medication altogether are grounds for license revocation. Not keeping proper records or having proper licensure can also get you in trouble. In some cases, pharmacists are going as far as to dispense illegal drugs. The Drug Enforcement Agency (DEA) has busted pharmacists in Florida and other states for not following doctors’ prescribing orders, running prescription drug mills and giving customers addictive painkillers without authorization. You can avoid this situation by being ethical. Dispense prescriptions as written and get clarification from the prescribing doctor as needed. You may not think anything of being late on your student loan payment, but if you default, be prepared to be without a job. That’s because Florida is one of 22 states that has the authority to revoke a person’s driver’s license or professional license if they are more than nine months past due on a loan payment. If you are having financial difficulties, be sure to let your lender know so you can work out a repayment plan. Don’t simply ignore the bills. Another debt that can cause you to lose your pharmacy license is child support. According to the Florida Department of Revenue, you can lose your professional license if payments are not made as ordered. If you don’t make an attempt to pay child support, you will receive a notice stating that your license may be suspended. You have 30 days from that point to pay the amount owed or request a hearing. If you do not respond, the licensing agency will take the next steps to suspend your license. The thought of losing your professional license can be frightening. You rely on your pharmacy license to work and earn money, and without it, your future can be negatively affected. That’s why you need to take the proper steps to defend your rights and hold onto your license. 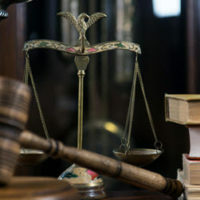 Get legal representation from the Law Offices of David P. Rankin, P.A.. David P. Rankin is a Tampa administrative lawyer who can help formulate a solid defense so you can hold onto your license. Don’t give up without a fight. Contact my office today for a consultation by calling (813) 968-6633.